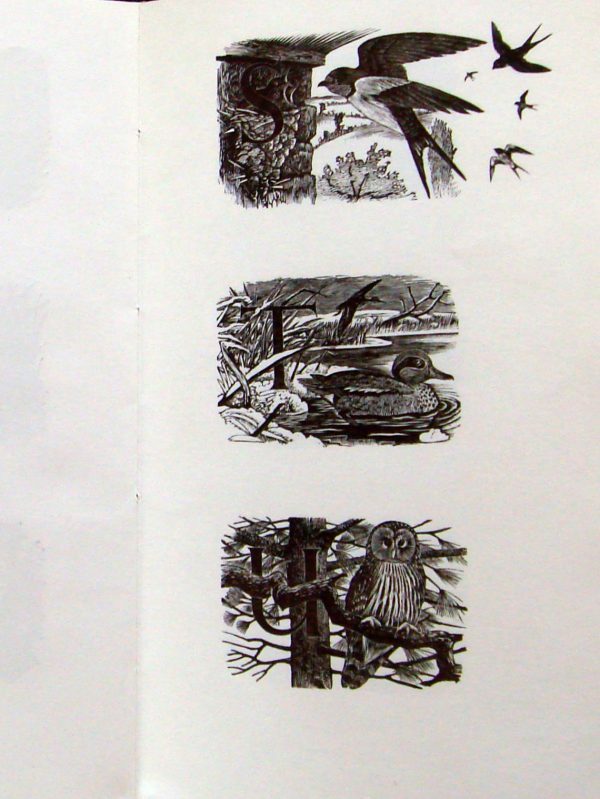 Wood Engravings by Marcus Beaven. Number 215 of 250 copies privately printed for the artist and signed by him. 10 X 5.75 ins. 22 pp + Colophon. Full green buckram with gilt titling on upper cover. Title page, Colophon and 26 wood engravings of birds printed recto from the original wood blocks cut by Marcus Beaven. A fine copy.